Order now and receive a FREE extra Stylus! 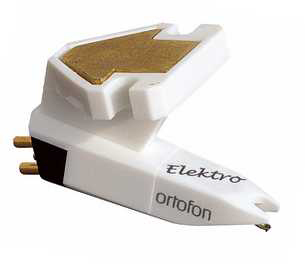 The Ortofon Elektro is perfect for all types of DJ styles and techniques, especially techno music mixes. It delivers a high output with clean crisp highs and a deep pounding bass line. This cartridge benefits from the trademark twin cantilever design where one tube is shrouded around another to give incredible rigidity and robustness. You will always be sure of a crisp and clear sound when this diamond drops. The technical features are based on an improvement of the Ortofon Night Club S, now even more robust - for working with 4 gram recommended tracking force - combined with increased tracking ability and with the output raised to more than 7mV. 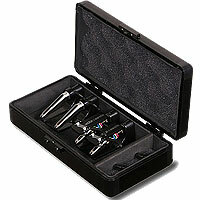 At the same time Ortofon has succeeded in retaining the well accepted sonic image.